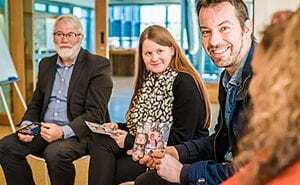 Indigenous leadership styles together with values like collaboration, consensus and Eldership could not have more contemporary relevance for businesses. Our training cultural awareness training programs are designed to raise cultural awareness and to teach Indigenous ways of thinking that can be applied in any situation. We haven’t just taken western training models and used them to tick a box about awareness of Indigenous cultures. Our unique models are informed by wisdom from the oldest living culture in the world. We introduce people to Indigenous ways of doing business making deep and meaningful connections. While the past is important, our cultural awareness training is not a history lesson. We focus instead on the cultural strengths and resilience of Indigenous peoples that offer real solutions to problems faced by all Australians. 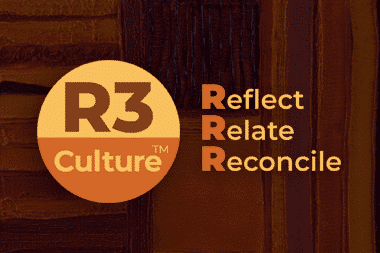 With our R3 Culture model™, you get a practical and simple tool for improving relationships and communications with everyone. We know we’ve run a session right when everyone is comfortable asking the questions they’ve always been too afraid to ask. Our facilitators have cheerfully answered everything from why it’s not alright for non-Indigenous Australians to pen their own welcome to country to whether you can still be an Indigenous person if of mixed heritage. Let’s be honest, no one expects a lot of laughs at cultural awareness training but at Evolve it’s guaranteed. Visual, kinaesthetic, auditory, verbal… we make sure to keep things moving and interactive, so there’s something for every learning style. Less talking head time, more engagement. Our participants never worry again about unintentionally offending Indigenous people because they don’t know the proper cultural protocols. That means they can get down to the real business of doing meaningful work with colleagues, stakeholders and communities. Listening is an important communication tool at which Indigenous people excel. An Indigenous practice from Arnhem Land we promote is the concept of Dadirri, which means ‘deep listening’. It teaches the value of patience and the ability to listen to people and the land on a deep level. When your people are equipped to work in a culturally appropriate way with Indigenous peoples without fear, it reduces the potential for reputational damage from cultural misunderstandings. Our programs are about opening your mind to all sorts of cultural differences. While the focus is on understanding, appreciating and learning from Indigenous cultures, the effects reach further and create workplaces that are more inclusive generally. The work participants do in our sessions can have a profound effect on them personally. It’s humbling, empowering and self-exploratory. Individuals experience greater empathy, self-awareness and insight into their unconscious biases. “The harmonious co-facilitation by Aboriginal and non-Aboriginal facilitators working together, had exceptional value, as it modelled the very skill we wanted to teach our staff”. alan halford on Because of Her, We Can! Why wait? Let's talk now about how you can make a difference! Evolve Communities provides highly interactive cultural awareness training by accredited Indigenous facilitators. Our 10 year obsession is to have 10 million people more culturally aware, creating a kinder more unified Australia.